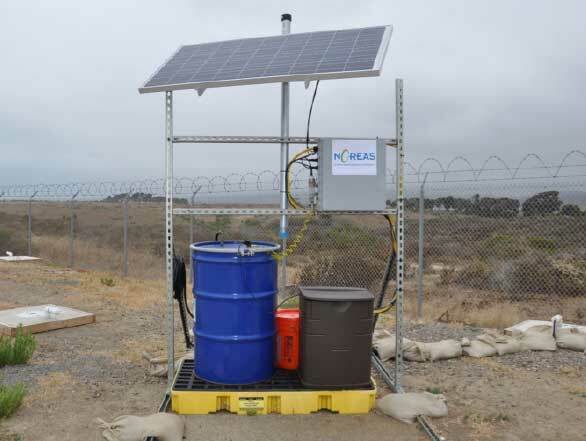 Groundwater Investigation and Remediation - TPH/VOC Plume - Noreas Inc.
NOREAS is investigating and remediating the impacted groundwater at the Assault Craft Unit Five (ACU-5) site at Marine Corps Base (MCB) Camp Pendleton, California. The groundwater is impacted by jet fuel and gasoline. 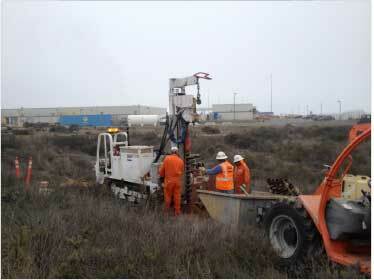 The investigation is designed to delineate the extent of the free product and dissolved plume in soil and groundwater. The project involves preparation of work plan, permitting, installation of vertical and slant wells, preparation of a Corrective Action Plan (CAP), installation of free product recovery system, operation and maintenance of the system, and biological monitoring. The site is currently used for fuel storage and distribution. As such, the investigation and remediation have to be designed and implemented to minimize disruption of the site activities and traffic by fuel trucks. The site is adjacent to a sensitive biological area. The slant wells are installed to delineate the extent of the groundwater plume without disturbing the biologically sensitive area.